Home Business Julius Asamoah writes: Ghana beyond Aid, is it Achievable? Julius Asamoah writes: Ghana beyond Aid, is it Achievable? President Akufo-Addo insists his “Ghana Beyond Aid” agenda is achievable. He explained that his government would continue to borrow meaningfully but that does not mean the “Ghana Beyond Aid” agenda would be abandoned. He categorically emphasised that, and l quote, “My government’s vision of moving our country to a situation beyond aid, i.e. “Ghana Beyond Aid” is aligned with Germany’s compact with Africa programme. Under my leadership, we are determined to discard the mindset of dependence on aid, charity and handouts and aim towards becoming self-reliant within the context of strong global cooperation.” President Akufo-Addo delivered these statements when he addressed the 2018 G20 compact with Africa conference in Berlin, Germany. 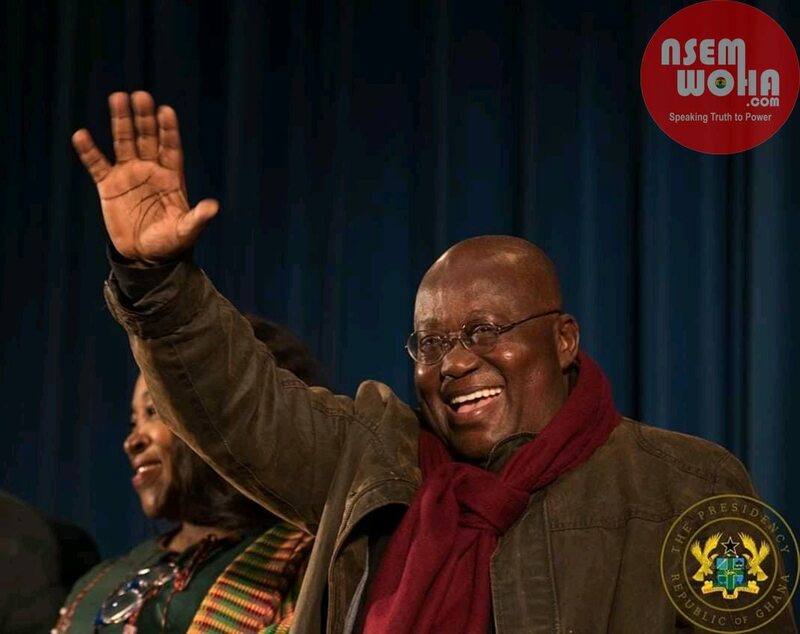 In furtherance to the above, he again reiterated openly by saying this; “it is expected that the premise on which the conference was held will enable Germany and the compact with African countries to reshape their economies and chart a new path of growth and development in freedom.” Furthermore, he said his government is creating an enabling environment for investments in Ghana to thrive. That is why his government has spent the last twenty four months in office improving the fundamentals of the Ghanaian economy because an improved macro-economy is a basic requirement for stimulating the investments need of the country for the significant expansion and growth of the national economy and the generation of wealth and jobs. 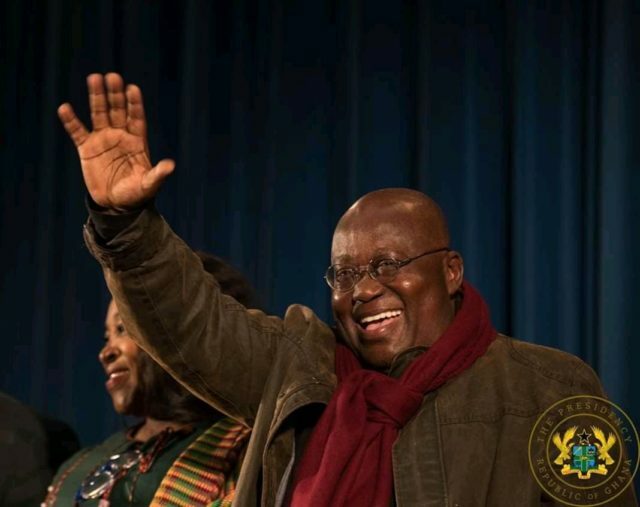 With all these pronouncements from President Akufo-Addo, receipts from foreign aid have dropped drastically and the advanced countries continue to shower praises onto Ghana. Therefore, the need is overly due for the government to look for other avenues to raise more revenue to fill in this revenue gap. Is this policy too hastily for Ghana? People keep asking this question because foreign aid in hard currencies contribute to the country’s volume of foreign currencies. A short fall in this sector reduces our foreign reserves for international business. A very thorough and in-depth study into the arguments for and against “Aid” are helpful for this debate. Aid can be neither local nor foreign but after listening carefully of this debate, let’s restrict our discourse on “Foreign Aid”. My conviction and growth in awareness tell me that the President’s reference is about “Foreign Aid” only because this type of aid has continued to be hotly debated in developing countries. One school of thought argues that developing countries must put a stop to always seeking foreign aid as it is not an essential component of growth. They emphasised that foreign aid is an economic instrument that sponsors neo-imperialism. Considering the level of development in Japan and China, foreign aid played a minimal role in their economic achievement. A funny and cunning aspect of foreign aid in recent times is its linkage with military aid and political movements in poor low-income countries but not linking these assistance to hunger, poverty, inequality, malnutrition and a host others. We shouldn’t forget the economic rationale rather than political, moral and humanitarian rationale for foreign aid. The economists are of the view that macro-economic role of foreign aid can be modelled in terms of a “two-way gap model”. Ghana, our beloved country, is characterised by low level of investments as a result of lack of indigenous capital. Low level of savings by the citizenry do not contribute to rapid capital formation for investments. This type of resource gap is often called savings gap and that such an internal imbalance in Ghana’s macro-economic indicator leads to an imbalance of imports exceeding exports. This imbalance in trade is the “trade gap”. All these gaps or trade bottlenecks can be filled up by an inflow of funds from abroad through loans and/or foreign aid and assistance. Truly, foreign aid contributes substantial sums of money to the budgets of developing countries, including Ghana. Thus, foreign aid permits a country to invest more than what the country can afford from its own resources. Moreover, with foreign assistance, a country can import more than what it is capable of financing by its own exports. Thus, the resource constraint that stands in the way of developing countries can be greatly removed if foreign assistance is sought for and utilized judiciously. Foreign aid fills up technological and manpower needs in certain sectors of developing countries. The developing countries are technologically poor and bankrupt, but it is also true that by importing foreign technologies alone, prosperity will not flow into these countries, it requires only strong high-end manpower that is scarce. Foreign aid by supplementing inadequate domestic savings, foreign exchange, and the transfer of technology and manpower can help in building a developing country’s infrastructure of roads, bridges, flyovers, airports, electricity, health centres, schools, shelter, sewerage systems, water supply, etc. In this way, it helps to increase the investment level that produces a big multiplier effect in the country. As a result, social returns of foreign aid become higher than its costs. Another school of thought has given a different reason for foreign aid. Multilateral agencies that supply aid provide policy dialogue that could help developing countries sort out their macro-economic and structural imbalances. They argue that the recipient country of foreign aid may be asked by the donor agencies to change its macro-economic policies in the course of the dialogue. However, aid flows to countries which agree to the policy change recommendations. Regardless of the influence used, foreign assistance could certainly become a means of speeding up policy reform in developing countries. This policy package advice is quite often, subject to conditionality and may thus cause some good to developing countries in certain context. Anyway, foreign aid is thus not undesirable for development. At a micro level, aid has a positive impact. There are certain cases against foreign aid. Another school of thought has pointed out that foreign aid is neither a necessary nor a sufficient condition for any country’s development. As far as recent experiences of Hong Kong, Singapore and past experiences of Japan and China are concerned, foreign aid is not a necessary tool for development as these countries developed without any substantial foreign aid. On the other hand, foreign aid may not produce large economic benefits. Foreign aid perpetuates dependence as it destroys self-reliance, props up authoritarian regime, and prevents economic development. It may not be out of place here to remark that whether aid has fulfilled the positive macro-economic role, it is feared that aid may displace savings, particularly public sector savings. Above all, aid may produce some undesirable effects on the balance of payments of a country as this leads to drainage of foreign exchange reserves by way of loan repayment, royalty, dividends, etc., to be paid to the donors. Further, some macro-economic studies have failed to show a systematic relationship between aid and economic growth. Aid serves other purposes apart from promoting economic growth. Aid also brings inappropriate technologies. Whether foreign aid is a growth- promoting instrument, it crucially depends upon the uses to which it is put. Foreign aid fosters capital accumulation by reducing its scarcity and thus making possible higher output and in the end, it promotes growth. However, these good results cannot be ensured if aid is used for maintaining or even raising current consumption rather than being devoted to capital formation. Rather, foreign aid may result in an ultimate lowering of the recipient’s long-term growth rate. Foreign aid can lay the inevitable impact of hampering the growth of the agricultural sector through dumping, thus, putting Genetically Modified Organism (GMO) foods, also known as genetically engineered foods, or bio-engineered foods produced from organisms that have had changes introduced into their DNA using the methods of genetic engineering, into the market of the recipient countries. This could discourage the growth of domestic production of food and primary commodities. If, instead, such aid could take the shape of imports of machinery it would bridge the technology gap in developing countries and could render a considerable help to the primary sector by restoring its long term health and ensuring its permanent viability. In conclusion, certain loans from the developed to developing countries come with foreign aid and in the end, these developing countries are often caught with substantial debt repayments. External debt grows in magnitude in these countries when foreign loans are used to finance an excess of imports over exports and interest payments on existing debt. Further, the “conditionality” clause of loans and aid of multilateral agencies is the most worrying aspect of foreign assistance. This seriously attacks the sovereignty of nations and promotes politicisation since a few major industrial countries are the strongest decision-makers in shaping the conditionalities of foreign loans and aid. In view of these strong reactions against foreign aid, it is again argued that aid leads to the extension of international Western style capitalism and supports the political motives of the strong neo-colonial powers. Thus, when aid serves political interests, the economic benefits of aid are lost. It may be noted at the end that there are certain things which foreign aid cannot do. Experience has shown that foreign aid cannot right all social wrongs or solve every economic problem of a developing country. It cannot bring about instant progress. A country’s economic development depends, ultimately, upon its own people, their participation and suitable long-term economic planning. It is not true that countries receiving aid grow at a much faster rate than countries without aid. Nevertheless, it is also true that aid plays an economically useful role in poor countries.